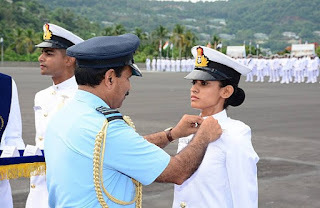 IAF Indian Air Force Recruitment 2019 has released for various roles. want to apply for it? now you can check below all details. Group ‘X’ (Except Education Instructor Trade). Passed Three years Diploma Course in Engineering in any stream, as mentioned in the CASB web portal www.airmenselection.cdac.in. The candidate should have completed the course from a Government recognized Polytechnic institute with 50% marks in aggregate and 50% marks in English in diploma (or in Intermediate/Matriculation, if English is not a subject in Diploma Course). Minimum weight of 55 Kg required for Operations Assistant (ATS) Trade only. Age limit: Below 21 years [Candidate born between 19 January 1999 and 01 January 2003 (both days inclusive) are eligible to apply].